When we arrived at Tatasberg, the wind was howling down the valley, blowing clouds across the sky and buffeting the rustic reed-and-canvas chalets. But when the next day dawned calm and still, we fell in love with the place. Although you come to this mountain desert mainly for its austere scenery, its sense of wilderness, its geology and amazing little plants, it’s by no means devoid of interest of the animal kind. Overnight, a small-spotted genet visited our (closed) kitchen via a gap in the reed walls, looking for food. 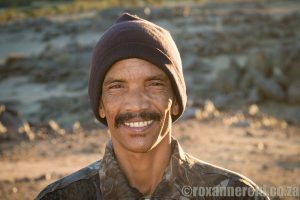 We met a Nama herder who had seen a leopard that morning. We saw brown hyena tracks in the sand and three klipspringers leaping up a steep cliff of loose rocks as if it was child’s play. There were lots of birds too, from Verreaux’s and fish eagle, jackal buzzard, ostrich and goliath heron to pied wagtail, tractrac and sickle-winged chat, Cape bunting and wheatear. 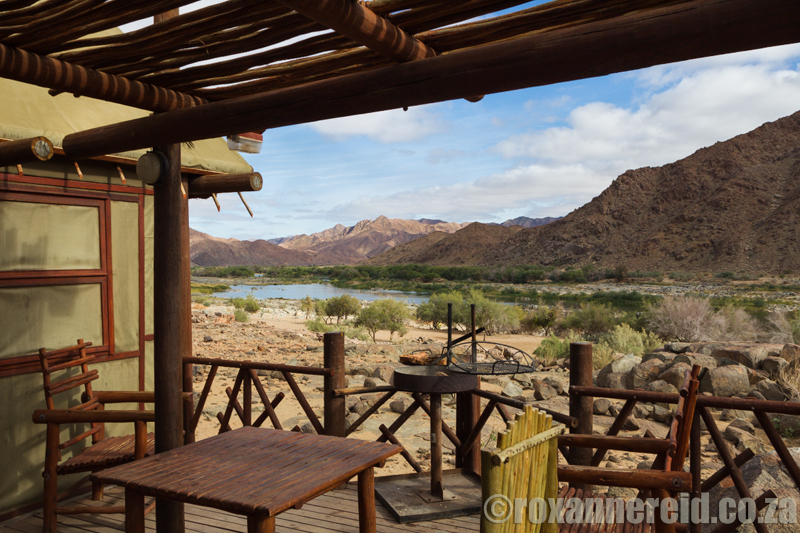 We heard a spotted eagle owl one night and the panicked call of redbilled spurfowl early in the mornings. Camp attendant Seth Domrogh has lived in the area all his life and has a whole lot of interesting info at his fingertips. Ask him what a plant is and he’ll probably spout the English, Afrikaans and Latin names for it. Ask him about the rocks and stones around the camp and he’ll explain that they’re mostly granite, but then point out some pink-hued quartz as well. He’s mad about birds so if you share his passion, pick his brains about ‘specials’ and where to look for them. We asked him about the goats and sheep we saw walking on the hills and in the riverbed. He explained that Nama shepherds have rights to graze their flocks in the park, but stock numbers are strictly controlled to around 6,500. “Their droppings help to fertilise the veld,” he explained, but a close watch needs to be kept on numbers via a census every two years because erosion is one of the park’s biggest conservation challenges. We had come to Tatasberg via the twisting Akkedis Pass and then inland (via points R6, R7 and R8 on the map) because we wanted to see more of the park’s landscape. And it was desolate and beautiful by turns. We didn’t want to go back via Richtersberg and De Hoop, which is full of deep sand and sharp rocks, but I hate retracing my steps. “There’s another way. You can go via Domrogh Pass instead,” said Seth, showing us on the map. (You go via R14 and R13 and join again with Akkedis Pass at R3.) He told us that before the land was part of the park, members of his family built the pass with their own sweat and shovels so they could move their stock between winter and summer grazing more easily. We took his advice and were glad we did. 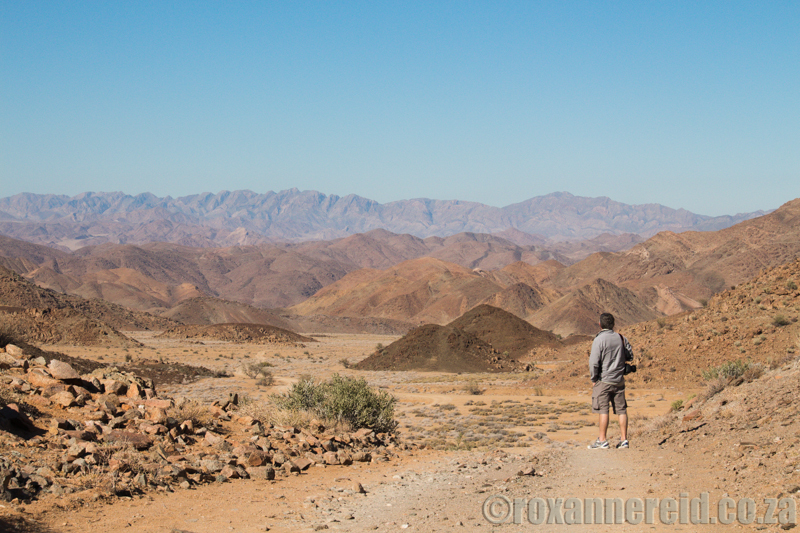 We found a scenic route that overlooked Swartpoort towards the eastern side of the Richtersveld, curling up to a high plateau where the silence was deafening. We stayed at Tatasberg for four nights and I could happily have stayed longer. One night is definitely not enough; if time is short, try for at least two or three. 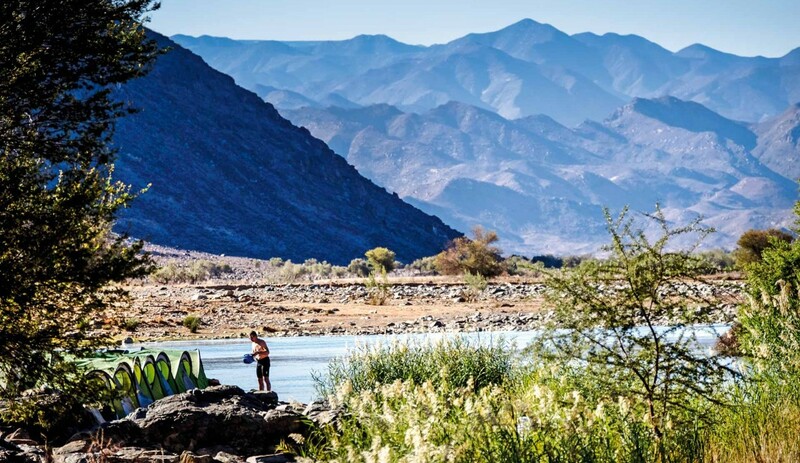 Bear in mind that although Tatasberg is only about 60km from Sendelingsdrif, this is 4×4 country with rocky, sandy and badly corrugated patches. If like us you’re interested in photography, birds, scenery, plants and rocks, the inland route will take you around six hours each way. You could probably do it in four if you pushed it – but that wouldn’t be half as much fun. 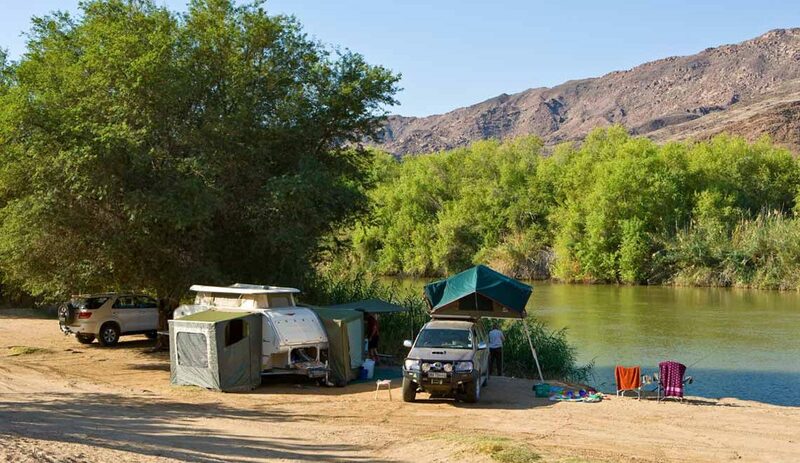 4 x 2-bed river-front rustic chalets with hot shower, fridge, double gas hotplate, kitchen utensils, and a large deck with braai, perfect for watching the sunset skies. The lights are solar-powered and there are no normal plugs. Two of the nights we were there, we had the place to ourselves, but on one fully booked night it had been cloudy and the lights died because we ran out of solar power. Remember to use power sparingly and take torches and back-up candles, battery/gas lights. Water is on tap, but I suggest taking your own drinking water or at least purifying the river water that comes from the taps. 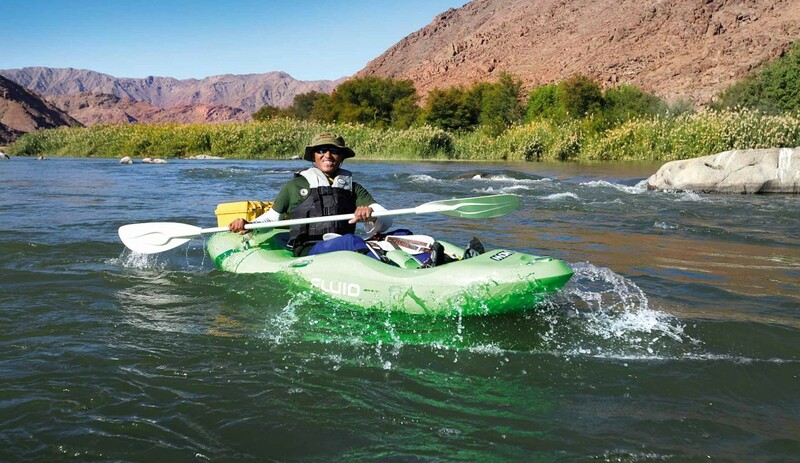 Book online with SANParks, by phone on +27 (0)12 428 9111 or email [email protected].